Make Ahead Mashed Potatoes Recipe for Thanksgiving - VIDEO!! Make Ahead Mashed Potatoes are the ultimate Creamed Potatoes for your holiday table! 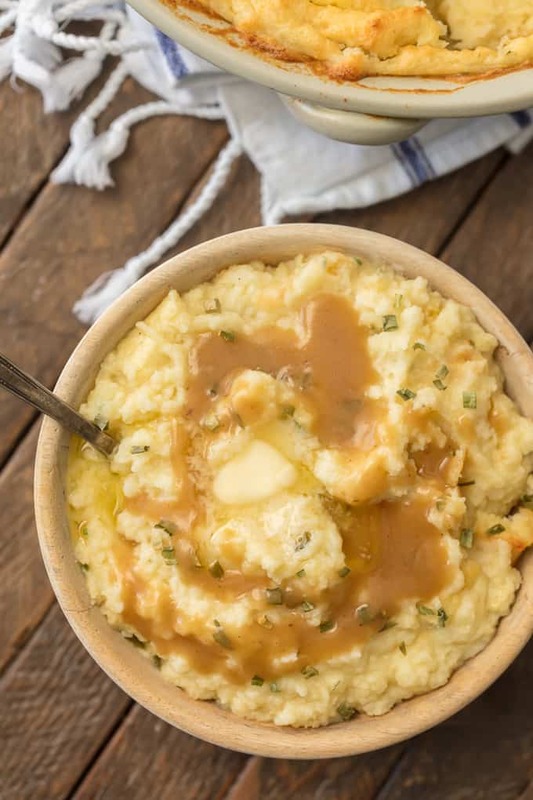 Make the holidays easy with this MAKE AHEAD MASHED POTATOES RECIPE! 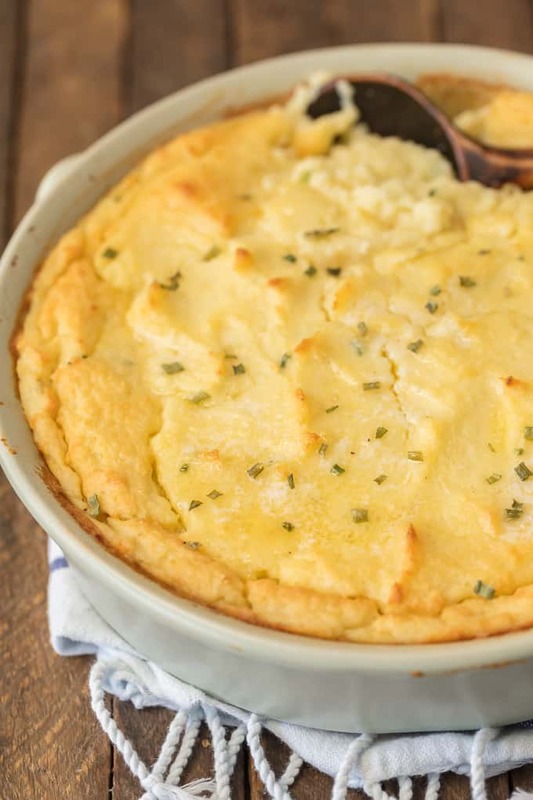 This creamy dreamy mashed potato casserole is SO SIMPLE so you don’t have to be trapped in the kitchen this Thanksgiving. Make Ahead Mashed Potatoes are the easiest way to make your holiday meals simple and delicious. 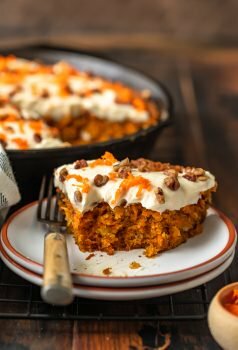 Thanksgiving will be so easy with this recipe! 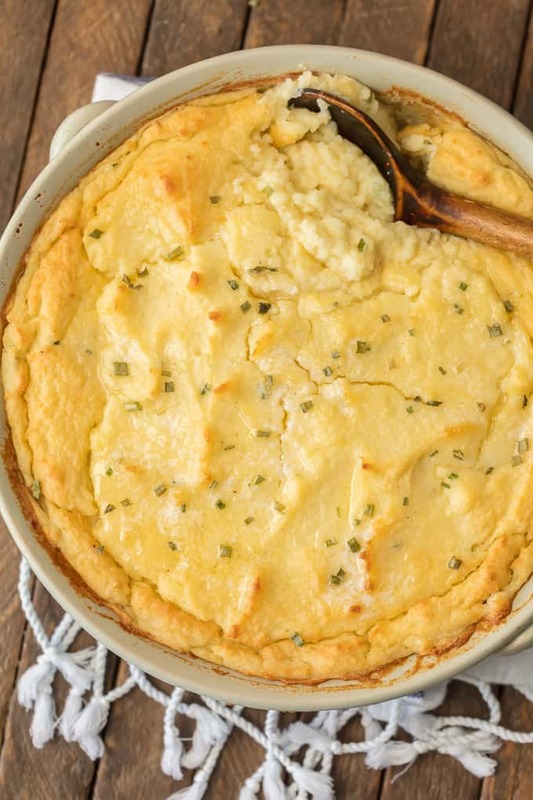 Make Ahead Mashed Potatoes might just change your life! I have been on a major mashed potato kick this year. Thanksgiving is always the most popular holiday on The Cookie Rookie and I wanted to make sure you guys had PLENTY of options for the big day! and of course tons of sweet potato options! Those are all great, but they also all require a bit of prep. If that’s not for you, or if you don’t have the time (hellllo, Thanksgiving is crazy busy! 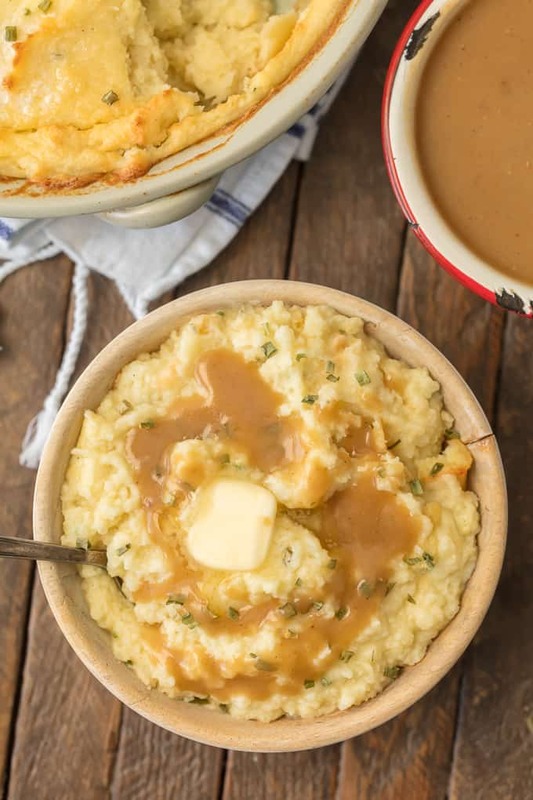 ), this Make Ahead Mashed Potatoes recipe is for you! 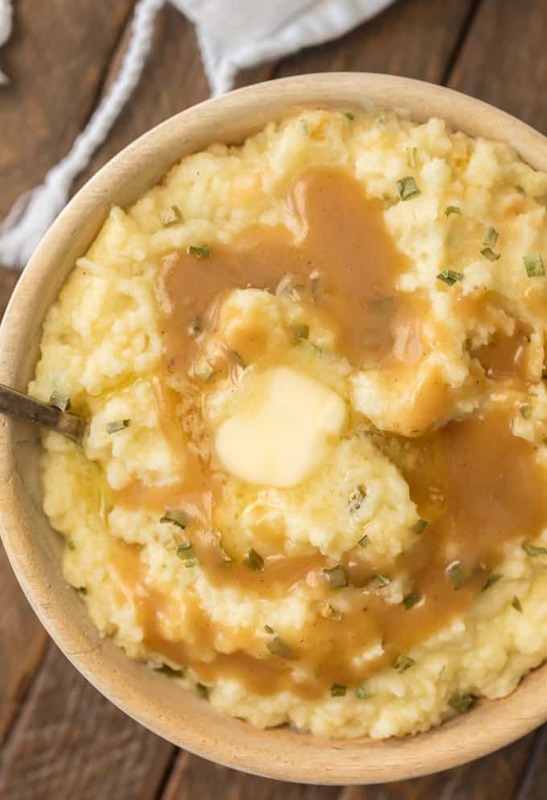 These Make Ahead Mashed Potatoes are equally delicious and can be made up to 2 days in advance! BONUS! You’re gonna love these. When Mom comes over to help me with blog recipes, I know I’m going to have a full day of eating….and eating and eating. This week we made 9 THANKSGIVING RECIPES in one day to photograph. It was a bit wild, but boy was my stomach happy. My feet…not so much. I’m not ashamed to say I ate my weight in these Make Ahead Mashed Potatoes and they were so satisfying. Even more exciting is I’ll get to have them again in just a week and a half at Thanksgiving! They’re our clear favorite for the holiday season due to how easy they are to make, and the incredible flavor. Anything I can make 2 days ahead of the big holiday is a winner in my book! These Make Ahead Mashed Potatoes paired with our MAKE AHEAD TURKEY GRAVY we have real perfection on our hands! Absolutely! You can only do so much cooking & preparing on the day of Thanksgiving. Make your life easier by getting things ready the day before, or even a couple of days early. All you have to worry about on Thanksgiving day is putting them in the oven to cook! And don’t forget to prep this Make Ahead Turkey Gravy Recipe to go with the potatoes. Take the potatoes out of the refrigerator a couple hours before cooking. 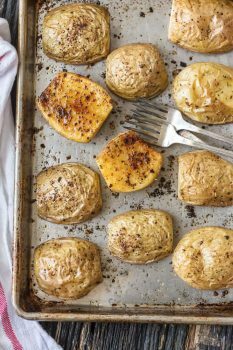 Using 1/4 cup of stick butter, cut it into small slices and scatter them on top of the potatoes. Bake uncovered for 50-65 minutes at 375°F. 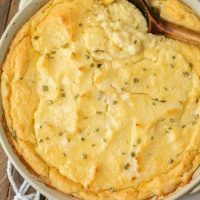 Make Ahead Mashed Potatoes are both easy and delicious! My passion in life these days (other than watching every reality show I can get my hands on) is showing how easy cooking delicious food really can be. I’m here to make you look good with minimal effort. 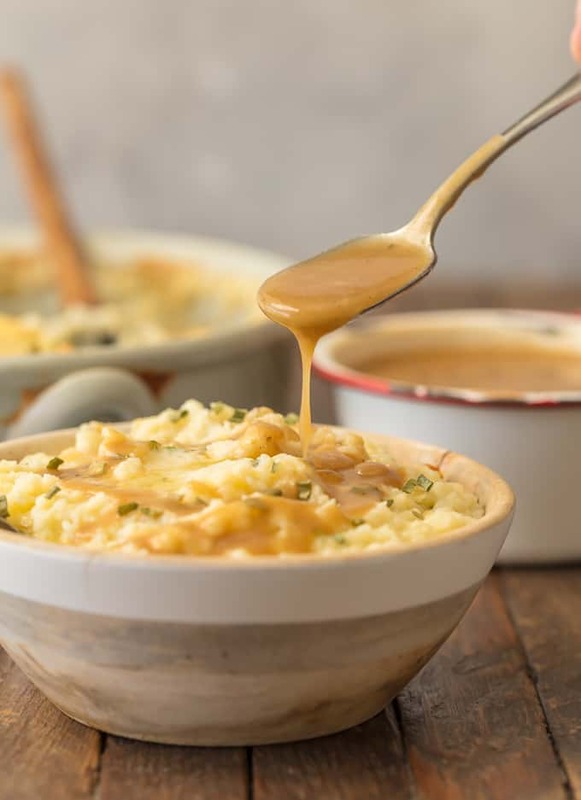 Some great recipes to pair with these Creamed Mashed Potatoes include Instant Pot Turkey Breast and Copycat Honey Baked Ham. Happy Thanksgiving everyone! See the recipe card below for full details on how to prepare Make Ahead Mashed Potatoes. Enjoy! Preheat oven to 375°F and spray a 2 quart casserole with cooking spray. Peel potatoes, remove eyes, and cut into 3” cubes. Steam (or boil) the potatoes just until fork tender, but not falling apart. Remove from heat. Drain the water and place potatoes in the saucepan; mash potatoes one minute over LOW-MED heat to remove the excess moisture/steam from the potatoes. Remove potatoes from heat. If the saucepan is large enough, leave the potatoes in the pan, and add ½ cup butter, cream cheese, whole milk and seasonings. (If the saucepan is too small, place the potatoes in a large mixing bowl to mash.) Mash the potatoes until they are light and fluffy. Season to taste. Spoon potatoes into the casserole dish and bake immediately, or cover and refrigerate up to 48 hours. When ready to bake, heat oven to 375°F. Bake, uncovered, for 40-45 minutes or until potatoes are hot. In a small bowl, combine 4 tablespoons softened butter, breadcrumbs and Parmesan cheese. Mix together until coarse crumbs form. Crumbs can be kept in an airtight container in the fridge up to 3 days. Don’t add the butter crumb topping until ready to bake the potatoes. Note: This dish can be made up to two days in advance. If making the potatoes ahead, remove them from the fridge 2-3 hours before cooking. Add an additional 10-15 minutes to the baking time. I LOVE THIS!!!! Is it possible to make ahead and then throw into my crockpot to warm? I think that would work! Haven’t tried it that way but I don’t see why it wouldn’t work. Just stir often to make sure it stays creamy and mixed together.